Chris and I want to thank you so much for the wonderful contribution you made to our wedding! The communication from the moment I contacted you was simply impeccable. Clear, friendly, showing initiative to what needed to be planned, and really easy going with no pressure. Everything was amazing for the wedding, with set up and running sheet, running exactly to plan. You were so flexible to us with our needs and you carrying all all agreed plans according to what we planned. The overall vibe of the party was amazing too. You were able to assess the crowd and play songs that matched where people where at. You also had a great look and were nothing but polite and kind to us, and our guests. We also want to thank you for being flexible to us and our song choice. We both quite particular about sing choice, and the way you 100% played our list, but mixing it so it flowed, was just amazing. Chris and I would very much recommend you to other couples. Everything was amazing, lest of all the way you offered a new date, free of charge, when the volcano was potentially impacting on our wedding. Thankfully it all went ahead, as planned. 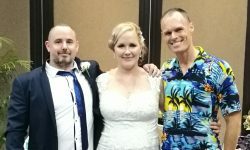 Thanks Rob, it was all amazing and we loved our wedding! We’re back in London now, getting back to reality and dealing with jet lags, and will always remember that day fondly. Thanks again for everything! Wow! Rob you are so amazing thank you for making our night perfect! Everything was such a breeze from from the first time we contacted you! Nothing was to much trouble for you you were so helpful all our guests loved you! Thank you so much for everything! Rob is amazing, very professional, detail, efficient, responsive. He is also a generally friendly and fun person. He made sure he delivered what I exactly wanted in terms of music and outfit. I asked for latin music and he explains the different kind of latin beforehand and so we had all the different types in different sections of the night, which was perfect. Especially in the after party, everybody had a blast. He is also helpful when asking for other information such as when I wanted some moving graphic screen and he showed my wedding planner on how to get them. Highly recommend Rob Soundz, he rocks! Rob was an absolute darling! Right from the beginning he was quick to reply to emails and messages, and extremely helpful. He guided us thru out the event and even dealt with the hotel directly with regards to the sound system so we didn’t have to worry about it. He also has lighting that you can hire at very reasonable rates. When we told him we would be dancing to a mash up he even offered to help us put together the mash up for us at no extra charge!! Even though we were only using his services from the reception dinner onwards he kindly let us use his equipment for the ceremony as well. We also moved the after party to a villa and he moved his gear as well so we could party till late. I would highly recommend him to any wedding or party if you want a hassle free event. Everything went so smoothly I didn’t even have to worry about what music was playing as he did such a great job and got everyone on their feet. This definitely helps when planning an overseas wedding, you want someone you can rely on and trust to do a good job. Thanks Rob for everything you were amazing and we got to enjoy our night thanks to you and your team. 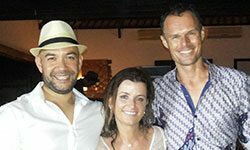 My wife and I recently had our wedding in Bali and used Majestic for the music; the company was well reviewed and recommended to us by some friends as well. I’m… happy to say that the reviews and recommendations were well earned. 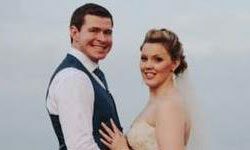 Majestic was very interactive with us prior to the wedding, both with very timely responses to questions as well as ensuring they had a very good understanding of what music we wanted at the wedding. During the wedding Rob was on time and set up well in advance. He was also very flexible to changing circumstance, particularly when it rained and we had to move the outside venue inside. This was impressively done seamlessly and with almost no interruptions to the festivities. Rob as a DJ was very engaging and well presented, happily taking music requests and worked the music well to the crowds moods. 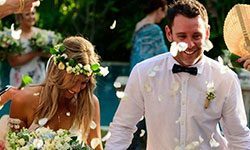 Overall, my wife and I are very happy with the service received from Majestic and would recommend them to other getting married in Bali. 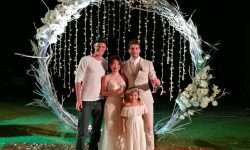 We have just got back from our wedding in Bali. If you are planning an event over there, do yourself a favor and hire DJ Rob for your music. The entire process from start to finish was seamless. Rob was incredibly quick and efficient with his communication, and he was relaxed and flexible (especially with our specific song choices). 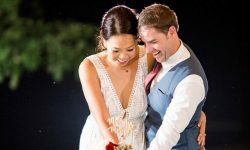 Planning a wedding in abroad is difficult and Rob really helped us understand what to expect in Bali (e.g. noise curfews and generators etc). On the actual day, the music (sound, volume, transitions, and mixing) was outstanding. 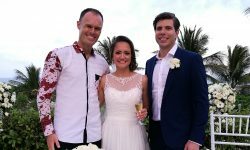 He had to juggle our ceremony and reception being in different locations and did so in a professional and efficient manner. Tip: pay a little extra and get the lighting that he offers, it really helped set the party atmosphere. So many of our guests mentioned how outstanding Rob was and we couldn’t agree more. We danced all night – thank you so much, Rob, for making our day so special. 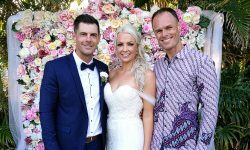 We had Rob at our wedding on June 8th In Canggu, as soon as I contacted Majestic, Rob was great in getting back to me and answering all my questions and how to book etc. On the day of the wedding, Rob was there to start with the music for walking down the aisle, he even edited it to what I precisely wanted, with not a problem. He played all our requests perfectly timed for the aisle through to the first dance. 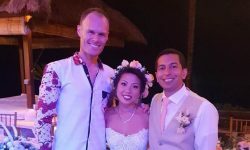 So, we got married in beautiful Bali the last week of May. 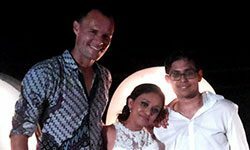 We had one of those multi-day weddings with a Mehendi night, where we played all Bollywood music, and a Western style reception where we danced to english pop music. Without a doubt, Rob was the best decision we made to keep both nights hopping and popping. He spent time with us to understand what kind of music we liked (Bollywood and Western) and he made sure that he brought energy to his performance – even bustin’ some moves on the dance floor! We recommend Rob highly!